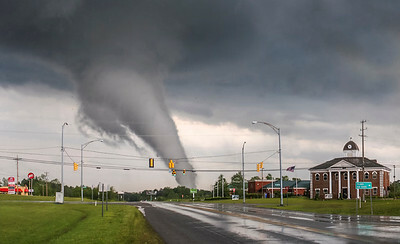 The deadly and historic Cullman Alabama EF4 tornado, captured on April 27, 2011. 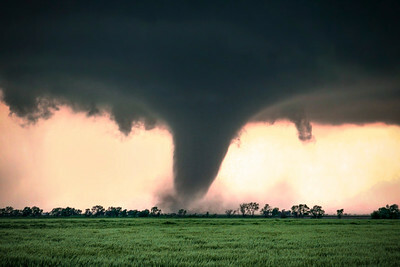 Histories largest tornado outbreak. 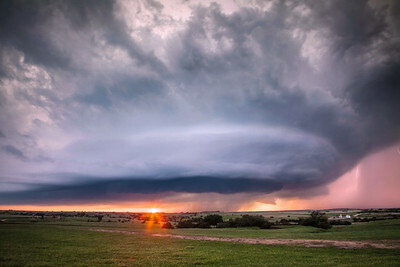 A powerful supercell rotates over an Oklahoma farm while moving toward the camera, in Waurika Oklahoma, in May 2014. This image was published by the US State Department in a book distributed at a conference of world leaders regarding weather and climate. 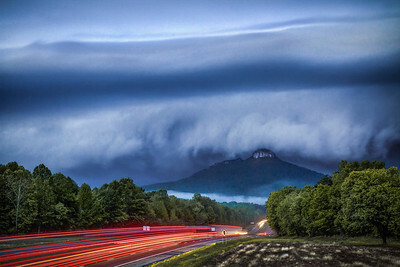 An EF3 tornado touches down in an open field in Oklahoma during the sunset of April 14, 2012, near Cherokee, OK.
Long exposure of a shelf cloud overtaking Pilot Mountain, in NC. 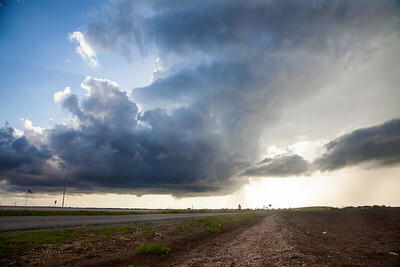 This severe warned storm packed a punch with fast wind, lightning, and hail. 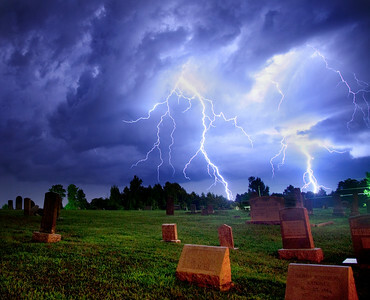 Very old gravestones sit in front of a powerful storm near Reidsville, NC. 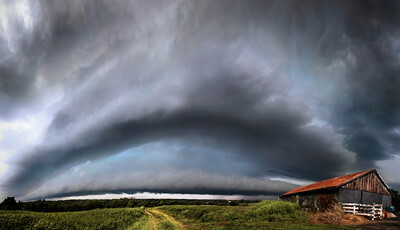 A supercell approaches a farmstead in the town of Sterling, Kentucky, on July 27, 2014. 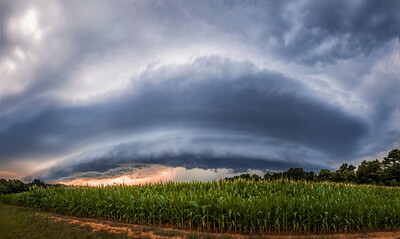 Severe storm over a cornfield in Clayton, NC on 6/29/16. 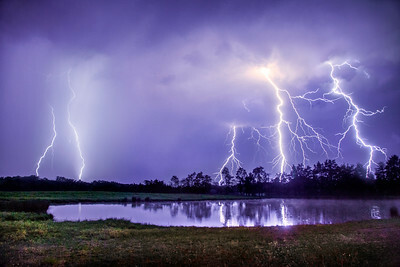 North Carolina lightning during late April severe storms. A lot of lightning and it finally feels like storm season! Near Sanford, NC 4/29/16 Three image stack, captured over ten minutes. 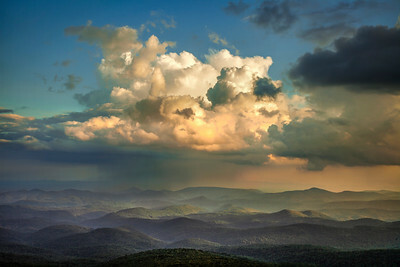 Summer storm and sunset lit ridges along the Blue Ridge Parkway, from early August near Boone, NC. It was beautiful to watch the changing light across the mountains as the sun lowered and the scene darkened. Twin pines and an amazing lightning show, from a strong storm in Greensboro, NC, 2017. 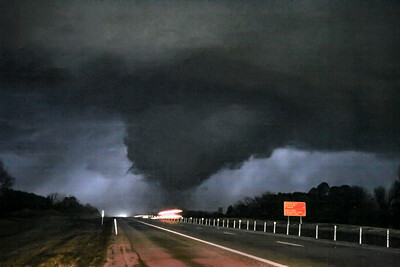 Cullman EF4 tornado, April 27, 2011. 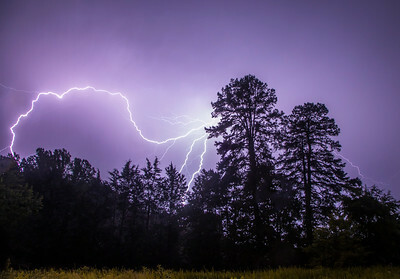 Severe thunderstorm a few nights ago in Norman, NC. 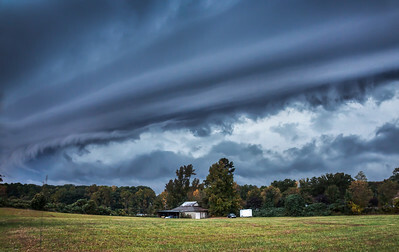 A rare sight in NC to see such a strong storm without clouds obstructing the view. It was a beautiful light show! This is a 4 image stack to show the multiple strikes that occurred over a couple of minutes. 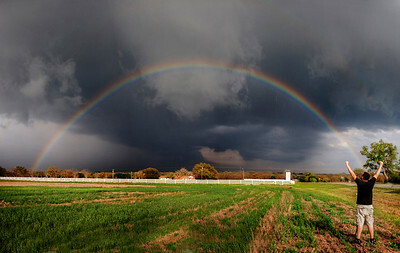 A wall cloud and rainbow forms below a tornado warned supercell in Dublin Texas on April 13, 2014. Storm chaser Jason Weingart throws his hands in the air in excitement. 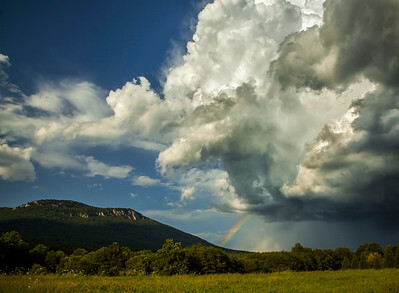 Rainbow in the valley and severe thunderstorm beside Cook's Wall, part of Hanging Rock State Park in NC.. 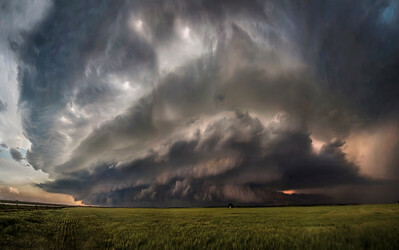 This image was captured when the storm became severe warned, with damaging wind being the primary threat. The storm went on to produce wind damage in Walnut Cove and a few other areas, and I was able to follow the storm for its entire life cycle! 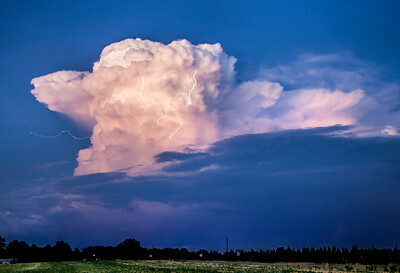 Lightning and a sunset lit supercell, one of my favorite storms from 2015. 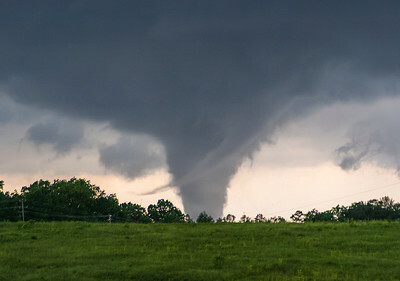 From Fairview, Oklahoma, 5/6/15. 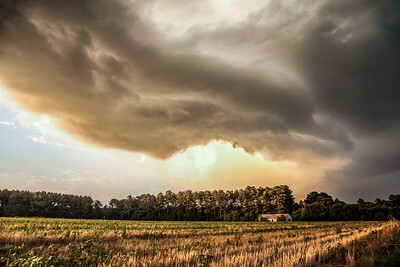 Sunset lit storm near Norman, NC, captured June 2016. 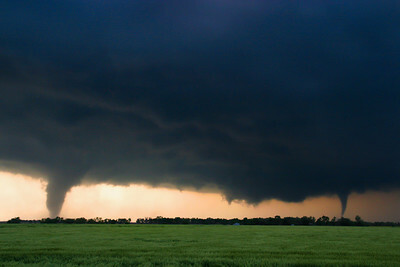 I followed this storm for a few hours as it became severe warned. 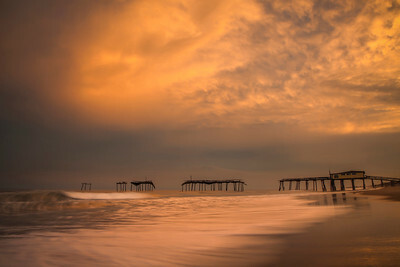 Southern NC is gorgeous and the expansive views made for a great storm chase! 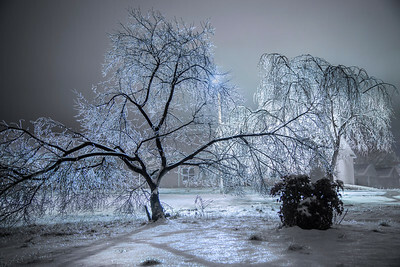 Greensboro NC looking like an ice-world, February 15, 2016. 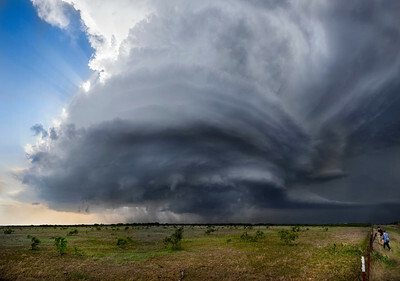 Rotating supercell in Texas, 2015.